How lovely is Shelly Beach in Manly? There’s a whole post written about Shelly Beach with all the info you need to plan a visit here. 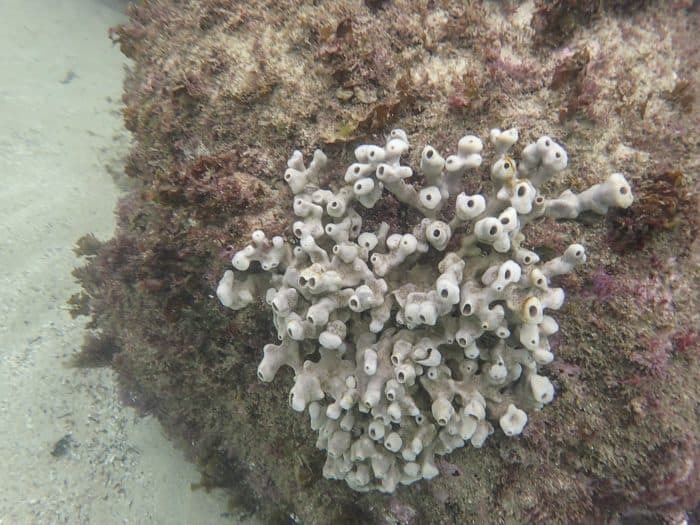 Today I’m going to show you some photos and video from underwater at Shelly Beach. I’m a bit concerned that these photos and the video might put little children off though. There really are a lot of fish around Shelly. But you won’t always see the big ones like wobbegongs and rays. If your childen are little, or nervous, then they can stay closer to shore and just see the little fishies. 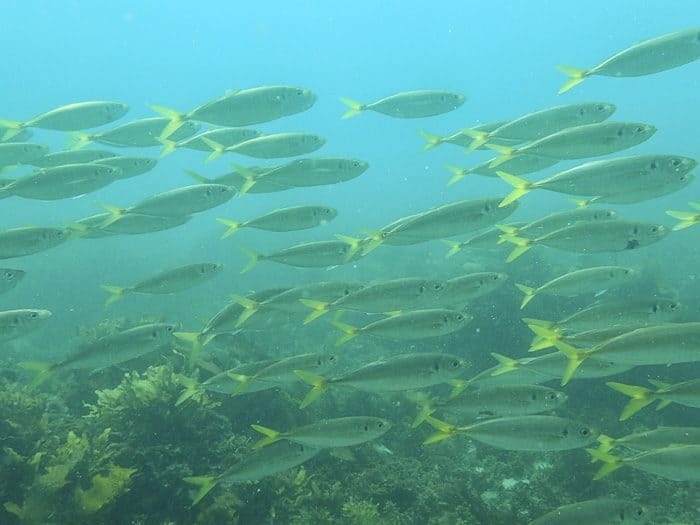 On a day when the ocean is clear, you can joyfully snorkel far out and see 10 – 20 metres down into deep water and there are all sorts of marvellous creatures of the deep out there. The rocks on each side of the beach are where the best sea life can be seen. 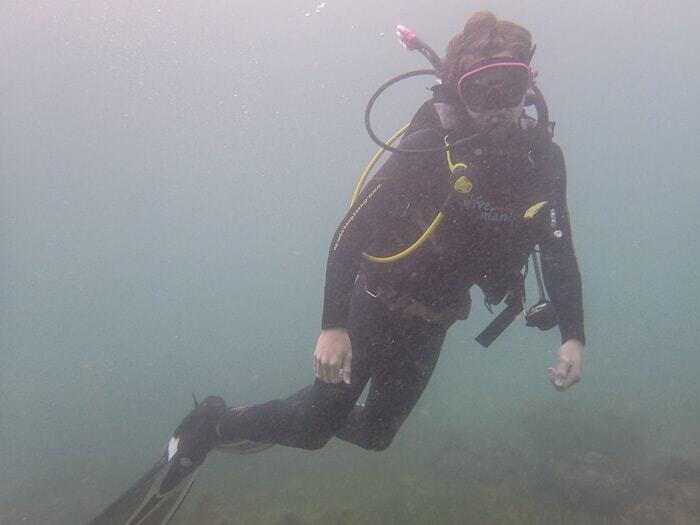 Many of these photos, and the video, were taken by my TeenNow17 who has dived and snorkelled with Dive Manly Centre. 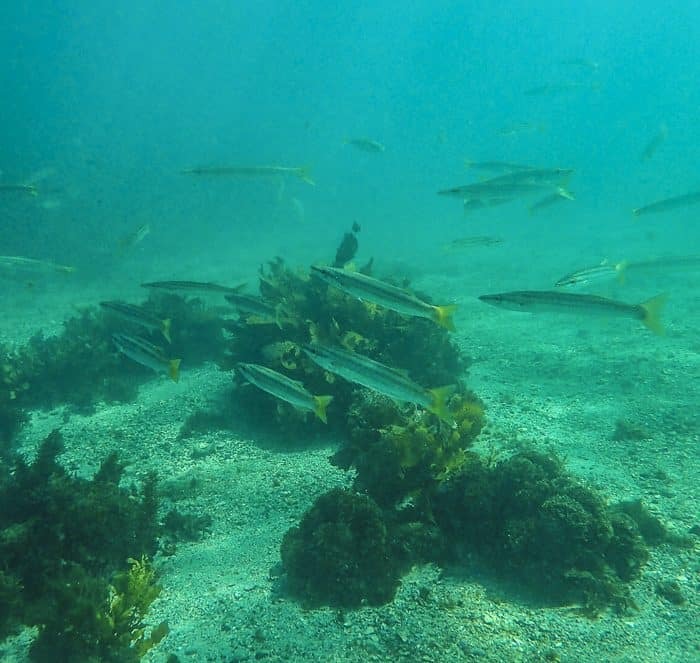 They’re the go-to company for learning to dive at Shelly Beach. 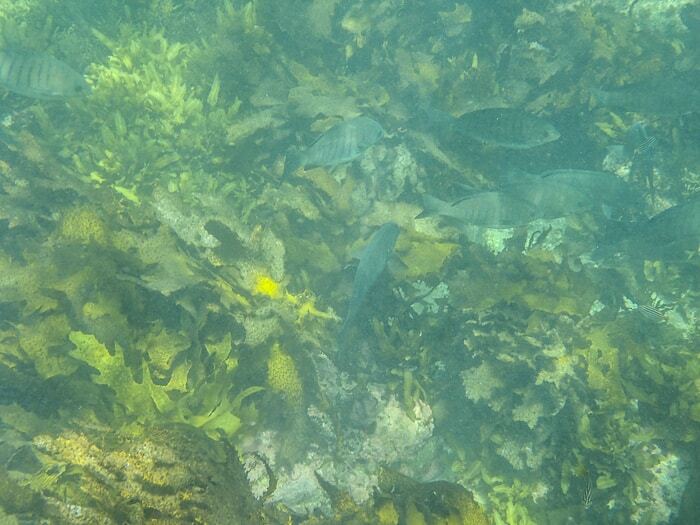 You’ll see some wobbegongs on this video, now they are big! 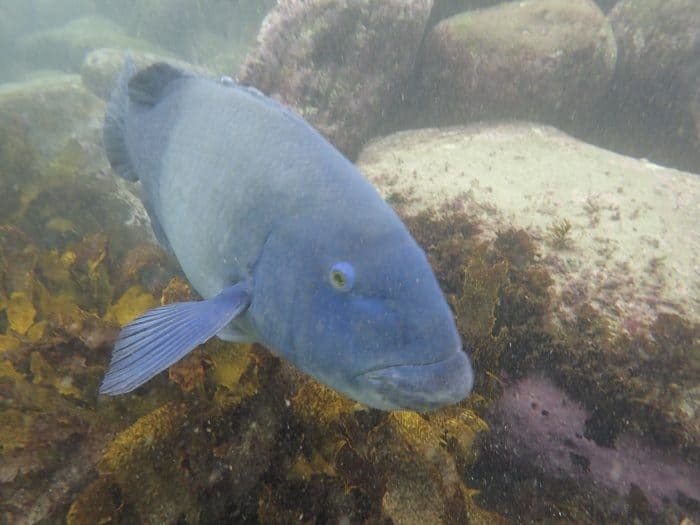 Learn more about the fish species at Shelly Beach on the Diveplanit website here. I love Shelly as I swim into it with The Bold and The Beautiful Swim Squad – Sydney’s best way to start the day. For all the practical details about Shelly Beach, like where to park, change and eat, click here. I think these are longfin pike… but don’t quote me. Fancy a swim and a snorkel at Shelly Beach? Come on, let’s go right now! PS The Olympus Tough link is an affiliate link. If you purchase an item using the link I may receive a small commission, at no cost to you. This helps support this blog. Disclosure policy is here. I only ever promote items we know are terrific and this camera is fab, we use it ALL THE TIME and it’s survived my kids for TWO YEARS – miracle!